Why Won’t “Overpopulation” (Finally) Go Away? The age-old specter of “overpopulation,” it seems, is back in vogue among environmentalists once more. “Our population,” writes celebrity biologist E.O. Wilson on the first page of his new book Half-Earth, “is too large for safety and comfort.” Celebrity economist Jeffrey Sachs agrees, arguing in his own new book on sustainable development that “our starting point is our crowded planet.” Meanwhile, in Life on the Brink: Environmentalists Confront Overpopulation, an eclectic collection of writers come together to “reignite a robust discussion of population issues among environmentalists, environmental studies scholars, policymakers, and the general public.” At the same time, the Foundation for Deep Ecology has launched a campaign called Global Population Speak Out, supported by a collection of evocative photographs, to explore “connections between the size and growth of the human population and key sustainability issues.” This focus has been reinforced by recent projections that the global population may reach nearly ten billion by 2050, revising previous assertions of an imminent level-off at nine billion or less. Despite decades of debate and concerted efforts to point out the problems in its framing, “overpopulation,” it seems, is squarely back on the environmental agenda yet again. All of this evokes the idea of an “open” or “public secret,” in which something ostensibly concealed is in fact quite well known and commonly voiced yet maintains an aura of secrecy because its presentation is usually framed as the “revelation” of something previously kept hidden. I have written about public secrecy, a concept developed by anthropologist Michael Taussig, at length in various articles elsewhere, with respect to such diverse issues as colonialism, adventure tourism, celebrity, and environmental governance. What is intriguing about a public secret is that no amount of explicit exposure can usually erase the sense that there is still a secret at its center, since the manner of its ostensive revelation (as something previously hidden) in fact paradoxically reinforces the sense that that one is exposing something that is or at least can be concealed. This is precisely the form that so much discussion of “overpopulation” seems to take. And it helps, I think, to explain why the issue just won’t go away, despite the fact that so much solid research and analysis, which we also outline in the paper mentioned earlier, has convincingly demonstrated why it is the wrong way to think about the problems it confronts. Those who deny that overpopulation is a problem say the poor don’t consume much. Yet the poor want nothing more than to consume more, as proved by India and China. Who can blame them? And a burgeoning number of desperately poor people does have a major impact: they cut down forests to grow food, drain rivers, deplete aquifers, and overfish and over-hunt in their local area. In this way, the emphasis quickly turns from addressing real issues in the here and now to a hypothetical future scenario that becomes the principle focus of attention. Psychologists call this dynamic “disavowal,” where something is superficially acknowledged yet its significance diminished. Such disavowal, as I have pointed out elsewhere, is precisely what sustains public secrecy. And in the process, inequality itself is actually defended in the interest of sustainability. Those raising the specter of “overpopulation” commonly lament that their efforts to draw attention to the issue inspire condemnation by critics. “But make these points,” Weld continues, “and you’ll be accused of blaming the poor for the problems of the rich.” They also commonly claim that critiquing the issue privileges human over nonhuman needs. But the critique of “overpopulation” is not intended to demonize those who raise the issue or to privilege anthropocentric interests but rather precisely to show how a focus on the proliferation of the poor commonly distracts attention from the actions of the rich. None of this is to suggest the issue of population growth is wholly irrelevant, neither with respect to environmental problems nor to equally important issues of poverty and development either. Neither is it to assert that population growth will “naturally” tail off as development proceeds, a position increasingly criticized in the overpopulation debate. Obviously, everyone with any sense agrees that continual unchecked population growth will eventually render Earth unlivable for most species. And in some places, curbing this growth will undoubtedly require active intervention. But in discussions of sustainability, population growth should be the last issue addressed, while instead it is increasingly becoming the first, if not primary, problem to be identified. In this way, a focus on “overpopulation” distracts attention away from what is the most serious issue to be confronted right now: overconsumption of natural resources fueled by an economic system that demands continual growth, not in order to sustain the global population so much as to accumulate tremendous wealth in the hands of a very few people. Until this obscene inequity, and the economic system driving it, is adequately addressed all the attention to overpopulation in the world will do nothing to halt our environmental crisis. On this upcoming fiftieth Earth Day, then, let us hope that the specter of “overpopulation” will finally be laid to rest for good—the good of all, humans and nonhumans alike. Robert Fletcher is Associate Professor in the Sociology and Development and Change group at Wageningen University in the Netherlands. He is the author of Romancing the Wild: Cultural Dimensions of Ecotourism (Duke University Press, 2014) and co-editor of NatureTM Inc: Environmental Conservation in the Neoliberal Age (University of Arizona Press, 2014). Cite as: Fletcher, Robert. 2016. 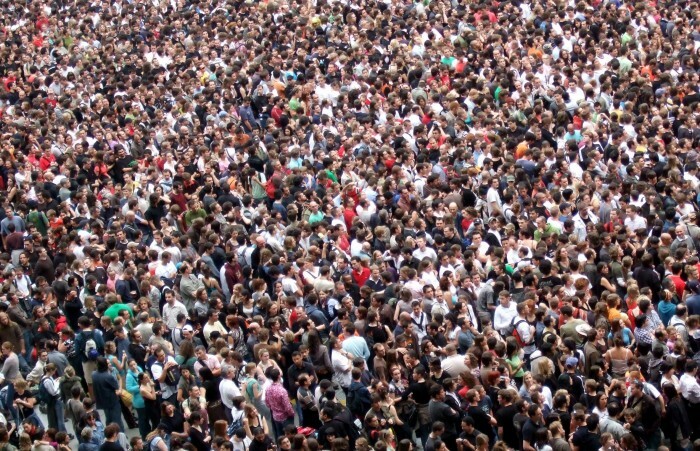 “Why Won’t ‘Overpopulation’ (Finally) Go Away?” EnviroSociety, 19 April. http://www.envirosociety.org/2016/04/why-wont-overpopulation-finally-go-away. Burkina Faso became 4th African producer of gold in 2012, at the time of a global mining rush. Since then, gold production has become the main engine of the Burkinabè economy, largely driven by industrial projects undertaken by foreign mining companies. The rush reminisces Ferguson’s extractive enclave economy, where foreign capital ‘hops from useful area to useful area, overlooking all places and peoples in between’ (Ferguson 2005). But what happens after the gold rush? In many places it is hard to tell yet because many projects are still ongoing. But in North Burkina where I have conducted most of my fieldwork, artisanal miners have reinvested the open pits left behind after an industrial project ended. The British company AMARA completed a project in a couple of years, and after reaching its extraction goals in 2014, the company hoped to a different place, developing new projects in neighbouring Ivory Coast and in Sierra Leone. When the company staff left, artisanal miners moved back in, they even found again the entrance accesses to the 100 meters deep shafts they had been digging since the 1980s, before AMARA evicted them. Rather than a case of ‘failed enclave’ this story better fits what Watts (2012) has described for the oil complex as a permanent frontier of exploration and abandonment. Wondering about what happens after the gold rush took me back, somewhat counter intuitively, to exploration again, to artisanal exploration. Enclave extraction is not the end of the road, and in fact the process of ‘discovering’ ‘useful areas’ is part and parcel of securing enclaves, of making them investible (Bridge 2007). This is why here, and through the case of a particular enclave project in North Burkina, I want to reflect briefly on, and draw attention to, the territorialities of exploration. Exploration appears benign at first sight because it is less physically intrusive, and less politically explosive than extraction, but it is in fact a fundamental moment of enclave-making. As Rubbers (2013, 9) notes, ‘’mining investments do not colonise a terra nullius; they are taken into a social space already structured by various fields of struggle and agency logics’. Exploration is one such ‘social space’ – and it is expanding. In 2001 only two exploration permits were granted in Burkina, while in 2012, 660 were held (ITIE 2014). A first ‘field of struggle’ that structures the social space of exploration is the global virtual market place (Megret 2011). Mining companies are registered on specialised markets such as the Toronto Stock exchange (TSX) and TSX Venture Exchange in Canada, which facilitate the generation of liquidities necessary for large-scale mining investments. In order for large-scale mining projects to become investible, liquidities must be made available. The process typically stages relations between Juniors and Majors, a mining jargon to refer to companies that specialize respectively in exploration and extraction. Exploration reports provide geological promises represented as facts that, within a favourable conjuncture, become attractive to a Major. In the words of the chief executive of Kinross Gold’s, considered one of the largest Major companies, Juniors are like fishing lines in the sea, and “the more lines you have in the water, the more chance you have of catching a fish’. In North Burkina, the Major AMARA was able to undertake an extraction project as a result of several years of exploration and web-based marketing by the Junior OREZONE. In 2012 OREZONE exchanged its 124 km2 permit to the Major CLUFF GOLD (later rebranded AMARA Mining) for the equivalent of 26.5 million dollars. The sale provided OREZONE with liquidities to further advance its extraction projects in Bomboré and Bondi a few hundred kilometres further south. Virtual information and asset exchange is key to the exploration playing field (Luning 2012). More specifically it could be argued that the virtual territoriality of exploration is precisely what makes enclaves investible. But gold also gets discovered from the ground, and who does actually discover gold? A Second ‘field of struggle’ that structures the social space of exploration is the concession, both as a site and a relation. Mining exploration concessions are sites populated by small-scale miners and Juniors where typically, the first tip off the latter. In the case of the same AMARA project, the Canadian Junior OREZONE that acquired an exploration permit in 2001 did not repress illegal small-scale mining on its exploration permit. When I discussed this situation in 2011 with a chief geologist working for OREZONE, I was told that (political) concessions must be made to small-scale miners: ‘you cannot put a policemen behind every small-scale shaft, and anyway, the presence of small-scale miners is a good sign for us, it means there is gold, they show us where to dig’. Small-scale miners I conducted research with on this same permit in 2011 and 2012 indeed complained that the Canadians were ‘following them’, systematically closing down their shafts soon after they proved promising. Below is a map drawn by these small-scale miners, where each green sticker represents an artisanal shaft covered up by the Canadian company to undertake exploratory drillings in the same spots. For extractive enclaves to be built, ‘useful areas’ must be discovered, and Juniors must know where to dig. For Juniors to know where to dig, exploration concessions cannot be cordoned off, but instead strategic forms of engagement must take place. The politics of underground access within porous exploration concessions makes these sites another key piece of the territoriality of exploration. Asking about what happens after the gold rush shines a different light on extractive enclaves. Firstly it shines a light on the frontier dimension of enclave economy, and to the fact that extraction is not the end of the road but part of a recursive process. In this recursive dynamics, exploration is as important a step as extraction in the conditions under which enclaves are secured, in the sense of being made investible. Secondly, looking at extractive enclaves from the point of view of exploration dynamics bring to light new territorialities to those envisaged through the lenses of security and extraction. The political economics of exploration accounts a great deal for the conditions under which extractive enclaves become secured, but a lot of this plays out through the virtual territoriality of the stock and share market places. Another territoriality of exploration is in the porosity of concessions. Extractive enclaves draw attention to the imperative of cordoning off extraction areas, making them impenetrable on the ground, an impermeability that is strategically reflected on maps with neat boundaries, as many rhetorical assurances of excluding competing claimants; but what allows outright exclusion and dislocation under extraction are strategic forms of engagement with competing claimants under exploration. In the case presented above it is precisely the porosity of concessionary boundaries that allow a Junior to be tipped off about the location of ore deposits, which may further become attractive to potential enclave makers. Understanding political topographies of extraction includes piecing together the territorialities of speculative concessionary politics. The virtual and porous territorialities of exploration are also key dimensions that make enclaves im/possible, and that shape the frontiers of global capitalism. Bridge, G. 2007. “Acts of enclosure: Claim staking and land conversion in Guyana’s gold fields.” In Neoliberal Environments, Falso Promises and Unnatural Consequences, edited by N. Heynen, J. McCarthy, S. Prudham and P. Robbins. London, New York: Routledge. Ferguson, J. 2005. “Seeing like an oil company: Space, security, and global capital in neoliberal Africa.” American Anthropologist 107:377–382. ITIE. 2014. Rapport de conciliation des paiements des sociétés minières a l’état et des recettes perçues par l’état desdites sociétés pour l’exercice 2012. Ouagadougou, Burkina Faso: Initiative pour la Transparence dans les Industries Extractives, ITIE. Luning, Sabine W.J. 2012. 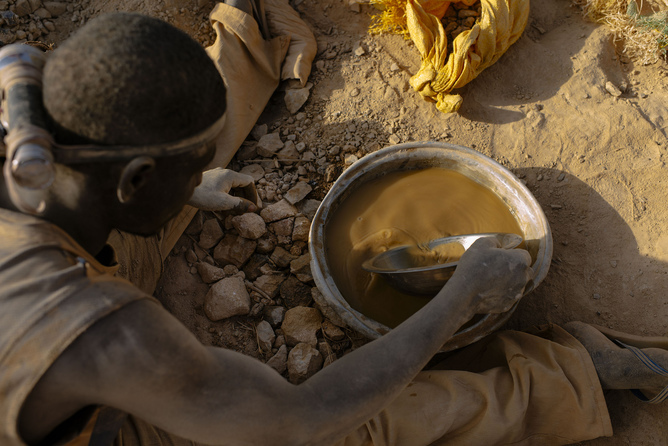 “Processing promises of gold: A minefield of company-community relations in Burkina Faso.” Africa Today 58 (3):23-39. Megret, Q. 2011. “De l’inscription en bourse à l’exploration en brousse: La double vie d’une multinationale minière junior.” Carnets de geographes 2. Orezone. 2010. Technical report of the mineral resource estimation of the SEGA (Tiba) gold project. Ottawa: Orezone. Rubbers, B. 2013. “Les sociétés Africaines face aux investissements miniers.” Politique Africaine 131 (3):5-25. Watts, M. 2012. “A tale of two gulfs: Life, death and dispossession along two oil frontiers.” American Quarterly 64 (3):437-467. 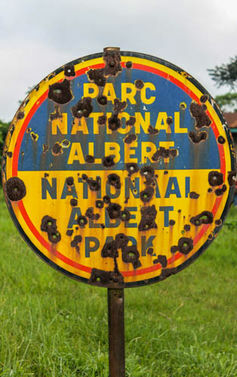 This is so-called “resource nationalism” in action, and the DRC is far from alone in seeking greater economic control of its natural resources. The state is back, the theory goes, and it’s taking on the multinational. From Scotland to Namibia, Zambia to Ecuador, resource rich nations throughout the world are rhetorically reclaiming gas, oil and minerals as their own. The trend is widely reported as the enemy of trade, investment and energy security alike. In the UK, for example, the Telegraph called it a “spectre” and government economists have labelled it as both a “threat” and “anti-competitive”. On the other side of the coin, governments argue they are simply ensuring foreign businesses don’t unfairly benefit from resource extraction. Take Zambia, for instance. The landlocked African nation is a major copper exporter yet most of the population still lives below the poverty line. After the government looked to crack down on tax avoidance by multinational mining firms, one senior politician defended the move: “The situation is win on one side – only the shareholders are winning; the people of Zambia are still in abject poverty”. 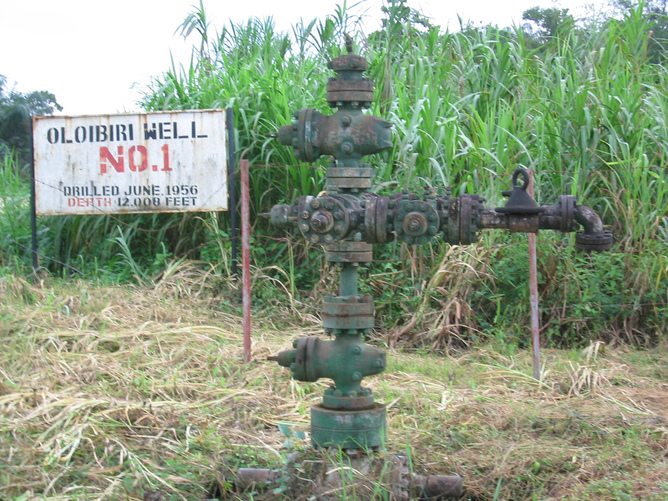 Governments, most prominently those of Sub-Saharan countries like Ghana, Sierra Leone, Guinea or Tanzania, have argued for huge tax hikes on mining, oil and gas contracts in the name of the “national interest”. However, move beyond the rhetorical strength of such statements and resource nationalism is less the enemy of big business than a cover for a business-as-usual bias towards the interests of neo-liberal, foreign investment. In Tanzania for example, recent discoveries off the coast of East Africa have led to predictions that the region will become one of the world’s biggest exporters of natural gas. As a result, “nationalist” laws are currently being drafted which begin: “Natural resources found in Tanzania belong to the [Tanzanian] people”. At the same time, however, a recently signed memorandum of understanding between the UK and Tanzania promises, according to former foreign secretary William Hague, to “offer significant opportunities for British businesses in the energy sector”. Indeed, BG Group, as well as Norway’s Statoil and other big players have already been granted licences. The state is striking back in rhetoric only; it is business that still holds the real power. Better technology, modelling and visualisation techniques means extraction frontiers are constantly being moved further afield and deeper underground. Mines such as one in Mponeng, South Africa, can reach nearly 4km deep and have more than 230 miles of tunnels, all to mine a 30 inch wide seam of ore. This should complicate our understanding of the idea of resource nationalism. How, for example, do we make sense of competing, contemporary claims to the deep sea off Namibia or Papua New Guinea? Similarly, questions over resources and sovereignty might even make us ask who owns the moon? Finally, geopolitical debates over extraction rights in the Arctic provide further worrying evidence of the ways in which national and private interests are always in competition. In all cases, the physical and metaphorical boundaries of the nation state have to be questioned as law tries to keep pace with technological advancement. Whatever the context, resource nationalism makes its claims by promising a country’s citizens “fair” and equally-distributed access to its resources. However this fails to account for politics. Mining and oil contracts are often negotiated in secret. Protests against these deals can be suppressed through state sanctioned force, and “national” policies often marginalise groups based on account of gender, race or sexuality. It is precisely this sort of identity politics which sparked violence over sovereignty in Mtwara, Tanzania, where the region’s population claims that they are marginalised from a policy that favours the urban elite hundreds of miles away. The “national interest” never means the same thing to everyone within a nation: different people place different values on nature and its resources. 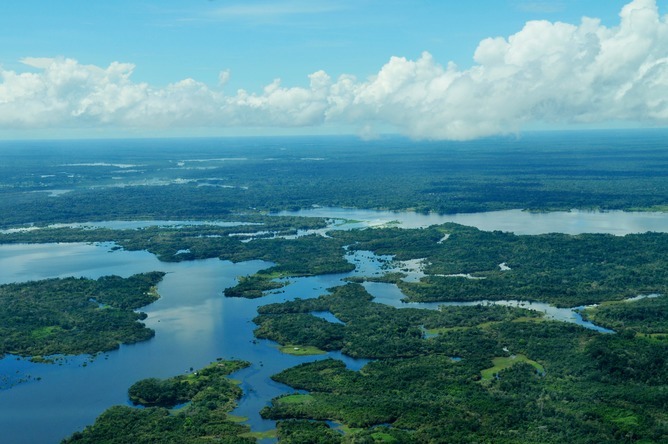 Brazil’s recent draft bill aiming to “nationalise” the Amazon is a good example – made at a governmental level, it doesn’t necessarily consider the views of indigenous communities. And the idea of the “national interest” can’t adequately describe this complexity. From “African” oil to “Scottish” gas, those that fear “resource nationalism” would do well to remember this and not overly simplify the debate. The drug discovery example planted in the public’s imagination the iconic image of the “‘barefoot doctor’ seeking to find the medicinal cure to humanity’s ills under the canopy of the rainforests”. But with little to show in terms of any new blockbuster drugs or significant biodiversity saved, we are left to ask why the market has thus far been so underwhelming at achieving its conservation goals? Many set out to discover new drugs and species in rainforests, but bioprospecting hasn’t done much for humanity of late. National parks aren’t immune from human problems. 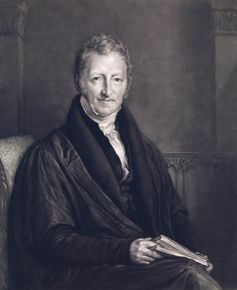 Thomas Malthus, best known for his belief that overpopulation would lead to catastrophe. Interested in publishing a POLLEN blog? Send your blog in a Word doc to Stasja Koot: kootwork@gmail.com, with separate pictures. Muriel: the first figure reminds me how much has changed. I first met a miner (An Australian) in Ouaga in 2001. Good to know the territorial control by the state and companies is subverted to an extent.